"Breakthrough" tells the inspirational true story of a mother's love and the power of prayer. This movie is opening in theaters April 17, 2019 -- just in time for Easter! When Joyce Smith's son, John, fell through the ice on a Missouri lake their world was forever changed. "Breakthrough" is "an enthralling reminder that faith and love can create a mountain of hope, and sometimes even a miracle." My husband and I were blessed to have a preview of the movie "Breakthrough". We were impressed by the strong acting and the fact that the "characters" were written as real people with flaws. The movie is sure to tug at your heart strings. "Breakthrough" is an amazing tribute to the power of prayer and the importance of faith. This movie is sure to inspire and encourage you! 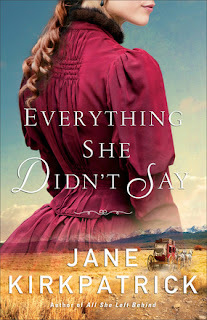 Everything She Didn't Say by Jane Kirkpatrick is based on the true life story of Carrie "Dell" Strahorn and her husband Robert, who traveled extensively through the United States during the early 1900's as Robert determined where future towns and railroad tracks should be placed. Every chapter in "Everything She Didn't Say" contains a journal entry (which I assume are fictional), the chapter itself, and a memoir excerpt from Carrie Strahorn's memoir "Fifteen Thousand Miles by Stage". Jumping back and forth between these three styles of writing was laborious. I would have rather read Carrie Strahorn's memoir OR read a novel inspired by her memoir. Dell is an independent woman who gives up her up her hopes and dreams in exchange for her desire to be alongside her husband. Overall I felt that there was very little character development so it was hard for me to care about the characters. Much of this novel is made up of dialogue and internal reflection about ongoing themes such as: whether or not Dell should go with her husband to the next town, how cold it is, and what pseudonym Dell should write under. Mention is often made in the novel of how Robert's writing is statistical, but Dell's writing is humorous and reflects more on the people she meets along the way. That is what I would have liked to have read. Instead I found this novel to be very dry and slow moving. One particular scene is told like this: "I learned that our horses had departed without their riders. ... My prayers were answered when the men arrived back with the horses." The in between section contains Dell's personal reflections about waiting in the cold -- instead of telling the story from the men's point of view as they gather the horses. For an adventure novel, this novel seems to lack adventure. As far as positives go, I was interested in Dell noticing the moral obligation of Robert portraying the west in an enticing way without mentioning the challenges and dangers to possible pioneers. While I was intrigued by the premise of this book, I found that it was not the book for me. If you enjoy historical novels based on true stories, this novel might be one for you. If you've read it, let me know your point of view. This book was provided courtesy of Baker Publishing Group and Graf-Martin Communications, Inc.
Little Women: A Modern Retelling -- Movie Giveaway! In honour of the 150th anniversary of Louisa May Alcott's novel, "Little Women"will be hitting theaters on Friday, September 28, 2018! 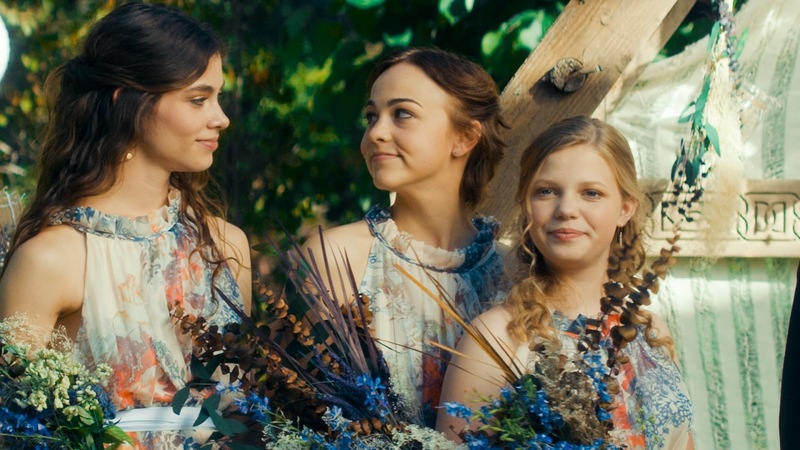 "Little Women" is a warm-hearted, modern retelling of the beloved novel. The classic story is being brought to the screen with a present day twist. 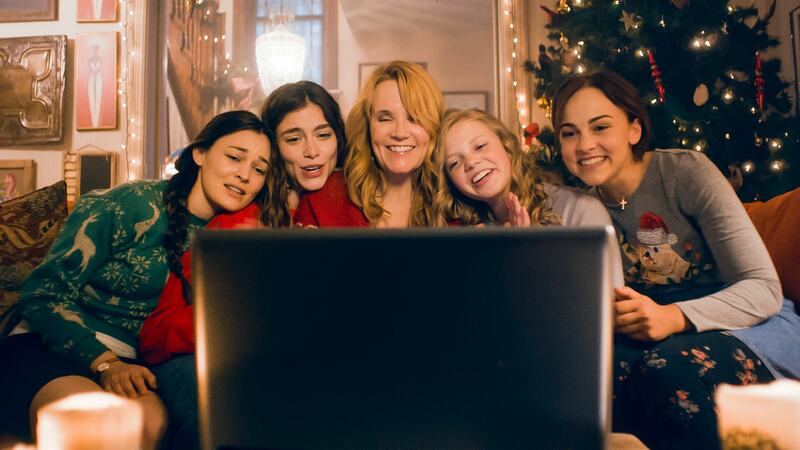 Lea Thompson and Lucas Grabeel (both from "Switched at Birth") are starring in this movie as Marmee and Laurie. I was nervous about a modern retelling of the classic novel, but after watching the trailer I am excited to see it. I've always thought that the 1994 movie of "Little Women" was so well done that it couldn't possibly be improved upon. That being said, I think this version will be enough of a change with its modern day setting that I hope it will be a hit as well. "Little Women" is in theaters September 28, 2018 and looks to be a great movie. Keep in mind the rating is PG 13 (for thematic elements and teen drinking). Although I haven't seen the movie yet, I expect that the themes of family, love, and following your dreams will come shining through. I am looking forward to seeing this movie with my daughter, but I bet it will be one my son and husband will want to see too. Win it: One Sowing Dandelion Seeds reader (US only) will win movie tickets for two to see the movie "Little Women" in theaters! (2 Fandango discount code tickets). If a Canadian were willing to cross the border to see the movie at a US theater that would work too. Disclosure: Thanks to LEV3L, I received two Fandango movie tickets in exchange for an honest review on my blog. Regardless, I only recommend products or services I use personally and believe would be good for my readers. Wishing you and yours a wonderful Easter -- celebrating the resurrection of Jesus! How amazing is it to think that God loved us while we were imperfect. We don't need to be "good" or "good enough" to be worthy of God's love or to earn salvation. Salvation is a free gift from God and all we need to do is accept His free gift! What a blessing. "Paul, Apostle of Christ" is a movie that tells the Biblical story of the life of Paul. Releasing nationwide on Friday, March 23, "Paul, Apostle of Christ" is a faith filled movie that is recommended for ages 13 and up. Jim Caviezel ("Passion of the Christ" and "Person of Interest") and James Faulkner ("Downton Abbey") lead the cast in this movie. While I don't know James Faulkner very well, I have always enjoyed Jim Caviezel's performances -- especially in the science fiction movie "Frequency". The plot: Paul is imprisoned in Rome by Emperor Nero and sentenced to death. Luke, his devoted friend, hopes to write a book that details Paul's tumultuous journeys and the message of Jesus Christ. Although I haven't yet seen the movie myself, it looks like it will tell a powerful story of redemption, mercy and grace. Paul's imprisonment always serves to remind us to persevere in the midst of persecution -- a theme that is increasingly necessary in the world at large. The story of Saul-turned-Paul is such an amazing example of the transformational work of Jesus Christ. When we consider that Paul could go from a man who hated and killed Christians to the writer of many New Testament books, this should give us pause. 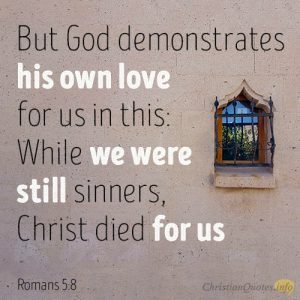 Surely God can forgive sinners such as us, if he forgave Paul his past sins. What a blessing to know that God's grace and mercy are for us all. "Paul, Apostle of Christ" is in theaters March 23 and will be a great movie to watch in the weeks building up to Easter. "Paul, Apostle of Christ" Official Website to find a theater and to learn more about the cast and the storyline. There are also photos and videos hidden on the website if you click the menu in the upper left corner. "Paul, Apostle of Christ" Facebook Page has photos, quotes, and videos. Letters from Paul videos are narrated readings of Scriptures by James Faulkner, the actor who depicts Paul in the movie. Win it: One Sowing Dandelion Seeds reader (US only) will win movie tickets for two to see the movie "Paul, Apostle of Christ" in theaters! (2 Fandango discount code tickets). Disclosure: I wrote this post as a featured contributor of Collide Media Group: "Paul, Apostle of Christ" Influencer Program. Thanks to Collide Media Group, Columbia TriStar Marketing Group, Inc. and LEV3L, I received two Fandango movie tickets in exchange for an honest review on my blog. Regardless, I only recommend products or services I use personally and believe would be good for my readers.